When we go away on vacation in South Africa we normally stay in B&Bs. 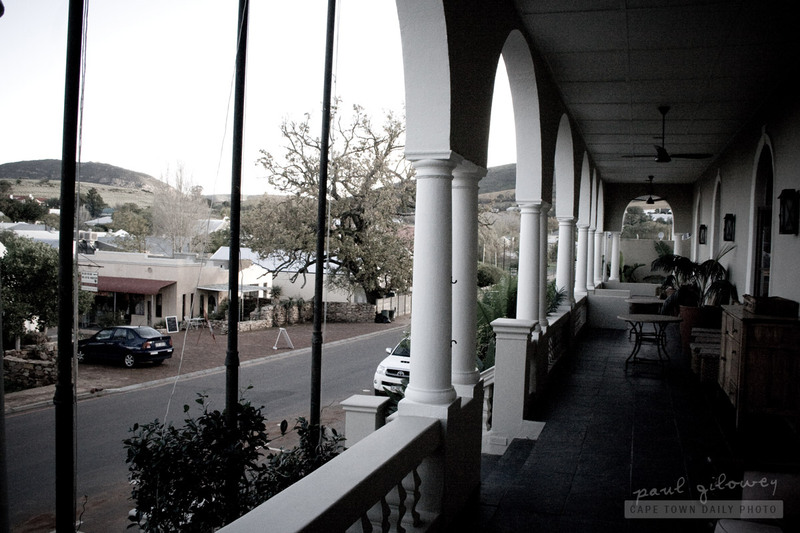 After visiting here I think perhaps for our next local vacation we'll try to find an old colonial hotel like the Royal Hotel - just to get a feel for what it must have been like back in the day's of the Cape Colony. See the beautiful evening photos on their website. The hotel was quaint and retro-stylish, but not as pretty as their website shows. Although, perhaps that's just because it wasn't lit as brightly since it was only mid-afternoon when we visited! Posted in General and tagged hotels, riebeek west on Monday, 18 July, 2011 by Paul.